Break ups are hard moments, during which you may lose appetite for food or end up eating too many pints of ice cream. During this period, it is normal to have conflicting feelings. For instance, you may feel a strong urge to have your ex back and harm him or her at the same time. Conflicting thoughts, eating disorders and all other things only make matters worse. You need to know how to deal with a break up and what the best thing to do after a breakup is. Breakups destroy our faith, mess up our life and seem to take all the pleasure away. How to deal with a break up does not have a definite answer. Accepting the facts, setting a normal routine and seeking some help will give help you get your life back. If you are the one who made the decision to break up, you should not ponder upon the decision. Thinking about the good times that you had with your partner may influence you to reconsider your decision. It is very common for the good things in the relationship to mask the bad ones that happened. Rather than having all these damaging thoughts, you should be content with the situation and work towards moving on with your life. Basically, suppressing or ignoring the bad emotions will impair with your ability to overcome them. Some of the emotions that are associated with a breakup are: loneliness, anger, rejection, uncertainty about the future and sadness. The best way to deal with such negative feelings is to confront them. Following the breakup, you should allow yourself to experience these emotions without judging. To help with the healing process, you can write the thoughts down, cry out or talk to a therapist. It is important that you acknowledge the feelings. How to deal with a break up mainly revolves around handling your emotions. The best way to deal with the emotions of a breakup is to open up. To cope with the loneliness, you will need support from other people. You can reach out to family members and trusted friends, whom you can open up to. You should also start spending more time with the people, who support, motivate and value you. Additionally, you should not shy off from asking for help if you need it. The people who understand what you are going through will help you cope with the feelings of rejection and move on with your life. 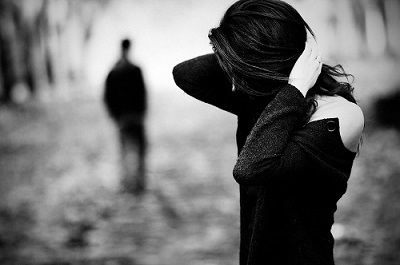 Even if you decide to become friends during the breakup, it is advisable to stay away from your Ex as much as possible. You should try not to see your partner, his or her family members and even friends because they will just remind you of him or her. Additionally, you should also stop talking to him or her through phone, e-mail or even text message. You do not have to take this as a permanent measure, but it is an important move for the first few months following the breakup. Staying away from your ex-space will help you heal from the breakup quickly. Normally, there are those things that will constantly remind you of your ex. This can be a place, a song, a scent or presents that were given to you by your ex-boyfriend or ex-girlfriend. Coming into contact with these reminders only triggers remorse, grief and the painful feelings associated with the breakup. You should try to remove such memory triggers from your life as much as possible. It is common for people to shun food following a break up and trying to look their best in front of their partners. You may think of this as a way to revenge, but you are just being hard on yourself. Instead of this, you should take nourishing whole foods that are high in proteins, fiber and nutrients. This helps in boosting your energy levels and mood. You should also take a balanced diet, comprising of greens, stress-busting super foods and fresh fruit to assist you in overcoming the physiological stress associated with a breakup. Getting over a breakup will also require you to avoid mindless eating and taking food as a coping mechanism. You should take a break from the things you used to do with your partner and focus on other things that are of interest to you. You should find interest in such things as spending time with friends, enrolling for a class you have always desired, going to the gym, reading books, listening to music or even watching movies. Understanding that a relationship is just a part of life will help you recover more quickly. Take time to explore the personal pleasures you have always enjoyed alone and focus on how to better your life. If you want to know how to deal with a break up, you should bear these things in mind and try all means to avoid them. Do not texting while drunk: During the healing period, it is advisable for one to avoid texting or calling when drunk because with a blurred mind you might call your ex and regret later. If one has to drink following a breakup, give your phone to a friend. Avoid calling and then hanging up: After breakup, it is not advisable to call the ex and then hung up moments later. If he or she wants to talk to you, he or she will. Avoid stalking: Avoid going to the places where you know you can meet the ex. This will do you more harm than good. Breaking things: showing anger by throwing stones at your ex or breaking his or her things will not help you to get over him or her. For the first few months, try not to make any major decisions, such as moving to a new city or quitting your job. Avoid indulging into alcohol and drugs or even food to cope with the situation.